Are you ready for your first trip to Cuba? Well! Get ready for a colored and fantastic experience. The places to see are several in this fantastic island. If you are going to visit the entire island, your first stop will probably be l’Havana. 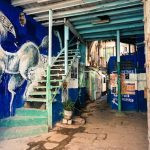 That’s why I have selected five places you absolutely need to visit in Old Havana. 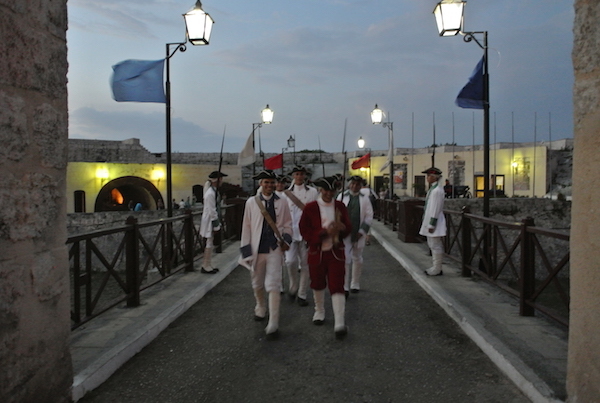 The Spanish founded the city in the 16th century and, because of its position and strategic location, it was the main port of the Caribbean Sea and the stopping point for the treasure-laden Spanish galleons. It was the conjunction point between the Old World and the New World. 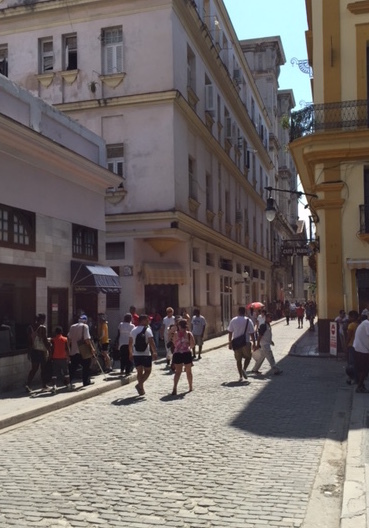 L’Havana can be divided in three areas: The Old Havana, Centro Habana, Vedado and Miramar. With over 1 million tourist a year (increasing every year) l’Havana the most visited place in Cuba. The origin of the name of the city, San Cristobàl de la Habana, combines San Cristóbal, patron of Havana, and Habana, derived from Habaguanex, a native American chief who controlled that area. Today we’ll focus on Old Havana and some of the places that you need to see. Ok, wear a loose outfit, light t-shirt and a panama. It’s time to visit the city! Plaza Vieja or Old Square in english, is a large square located in the heart of the Old city. It was originally named New Square or Plaza Nueva since the foundation in 1559. The square was the place of executions, processions, bullfights, and parties. The area was one of the wealthiest neighborhood of the city and in the 17th century the square was an important commercial hub. At that time its name was in fact Plaza del Mercado or Market Square. 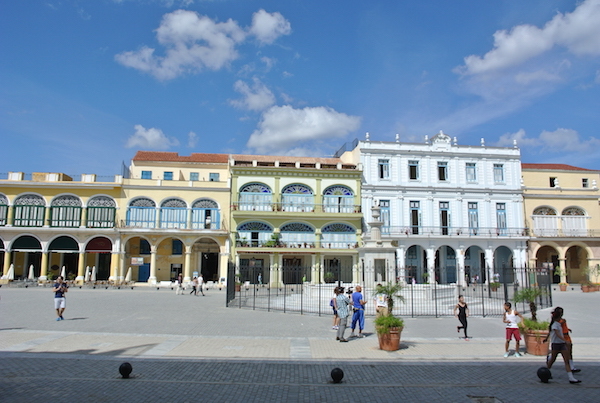 Today the square is a wide and fascinating location recently completely renewed and declared World Heritage Site by Unesco, as the entire Old Havana. In the middle of the square there’s a fountain, surrounded by four dolphins. It has been completely rebuilt after Gerardo Machado demolished it in the 1930s to build an underground parking lot here. The best time to be there is in the late afternoon or during the sunset. You can enjoy an artisanal beer in one of the oldest bar of the city in the north west corner of the square. 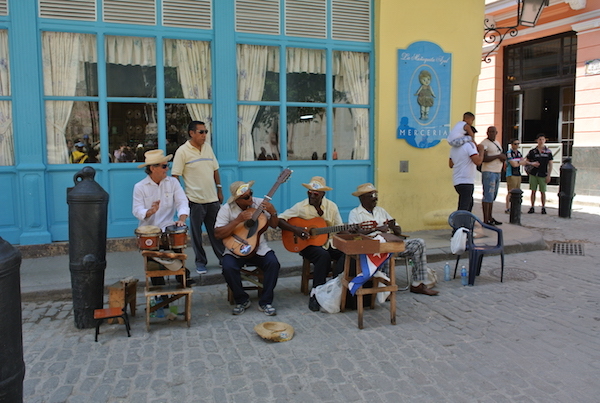 In Plaza Vieja you’ll be fascinated by a mix of music and colors. 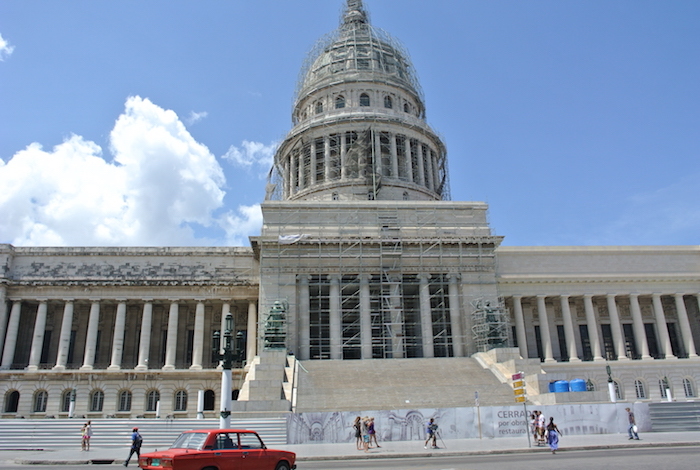 The project began on April 1926, during the Gerardo Machado administration and prior to the Cuban Revolution of 1959, the Cuban Congress was housed in the building. 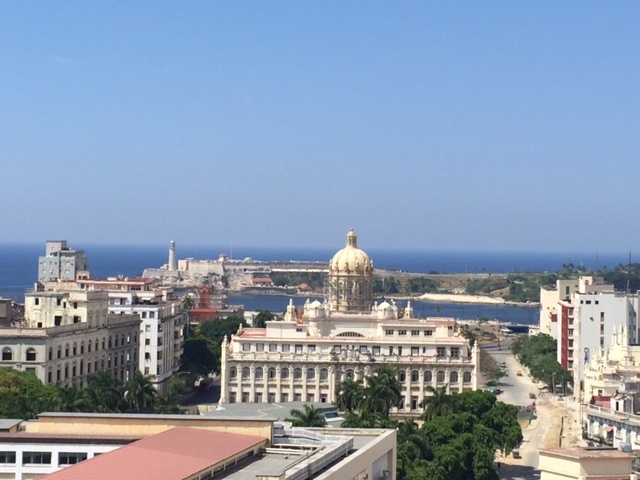 It’s one of the largest building of the city and it was the tallest building in Havana until the 1950s. Right now (May 2015) it’s closed for renovations but you can admire all its greatness from outside. Inside, the cupola, was inspired by the Panthéon in Paris but it was constructed in the United States and imported to Cuba. Well, now you can continue walking along Obispo. This is the street of the art and galleries. You will see several small boutiques full of paintings. 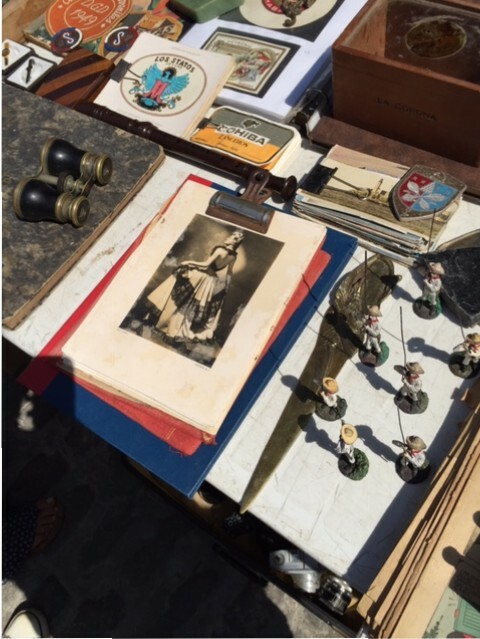 Pay attention to the stores : many of them are still original and you will noticed it by small or bigger details, an old watch, an ancient windows or wood finishes. Along the street are also several beautiful hotels. One of those is the Hotel Florida with an amazing internal patio you can visit. 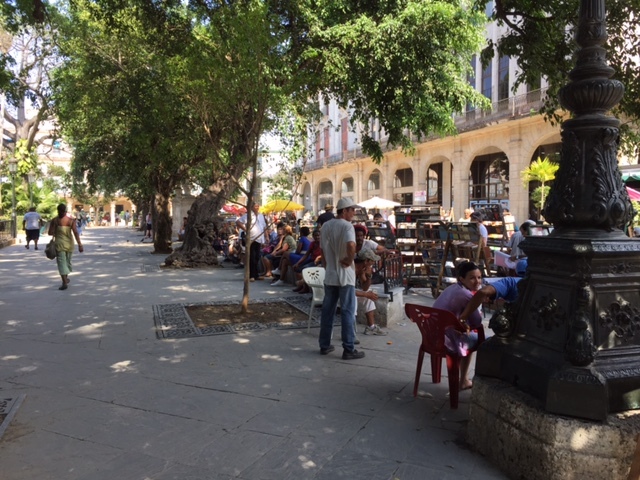 There are several incredible patios in the Old Havana, if you want to visit them just ask to the owners or tenants if you can get in for a quick visit. Cubans are very kind and warm and they will give you permission without any problem. Absolutely a top place you have to visit in Old Havana! It is one of the most characteristic spot of the city and absolutely a place to visit in Old Havana. The first thing you’ll notice here is the book stores all over the square. These newsstands have a lot of ancient magazines and books. Some of them are of the last century. 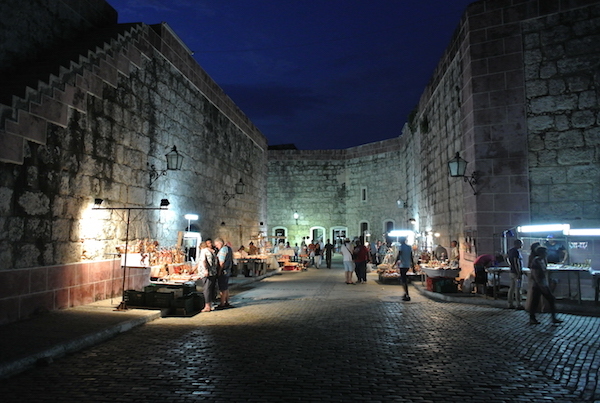 In the south of the square you’ll also find el Castillo de la Real Fuerza and El Templete. Amazing places, but I had to select just five in this post. Anyway I will add other posts with other places to visit in Old Havana. -> Book a tour of the city now! Last but not least, El Morro Castle. This is a must place to visit in Havana. The complete name is Castillo de los Tres Reyes Magos del Morro, the Spanish “morro” means “nose”, a rock which is very visible from the sea. 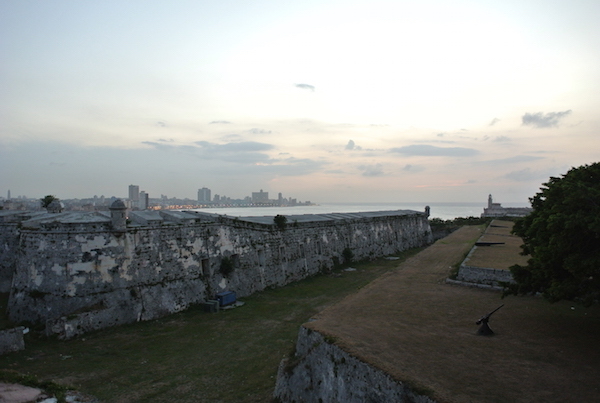 Close to el Morro there’s la Fortaleza de San Carlos de la Cabaña, it is an 18th-century fortress complex, located on the elevated eastern side of the harbor entrance in Havana, Cuba. It’s the third-largest in the Americas. The best time to visit la Cabaña is in the late afternoon and during sunset. 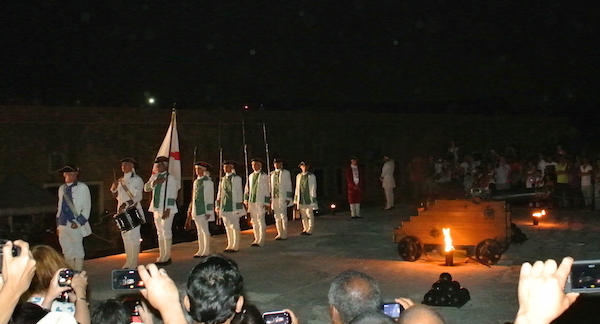 The reason is because every day at 9pm you can assist to the ceremony of “El Cañonazo de las 9”. And also because you won’t die of dehydration during summer. It’s a cannon that every night fires at 9. It once warned the closing of the city gates. 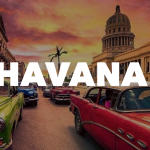 An experience that deserves to be lived and a place to visit in Old Havana! The entire visit will take about 2/3 hours, so you might go there around 6 pm. To get there, you can grab a cab from the city (it is on the other side of the bay) and the ride is cheap. 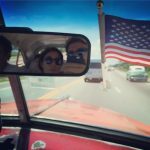 Also join my newsletter to get the next posts and other tips for you travel to Cuba! I will send exclusive content and pictures to all the subscribers.